What better time to go public with your faith in Jesus than at sunrise on Easter Sunday morning at the beach? 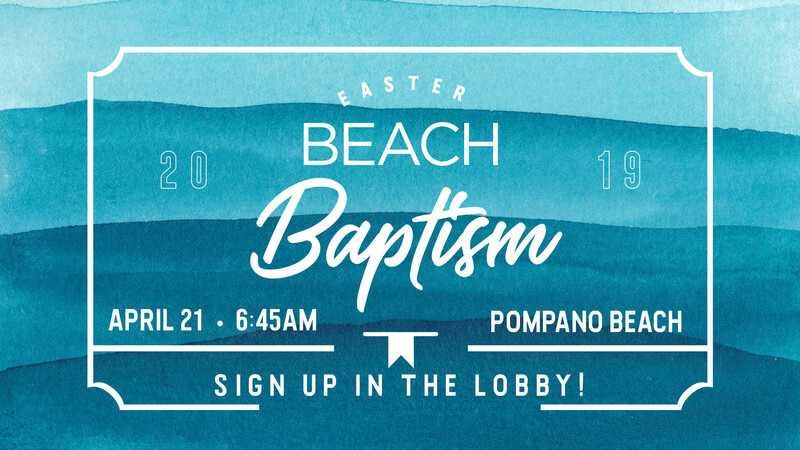 Church by the Glades will be hosting a Sunrise Beach Baptism on Sunday, April 21st at 6:45am on Pompano Beach. We will be just north of the Pompano Beach pier. Contact Stacie Ferreiro stacie@cbglades.com with any questions.